Finally, a VPN you can trust. The world's first fully audited and Openly Operated™ VPN. 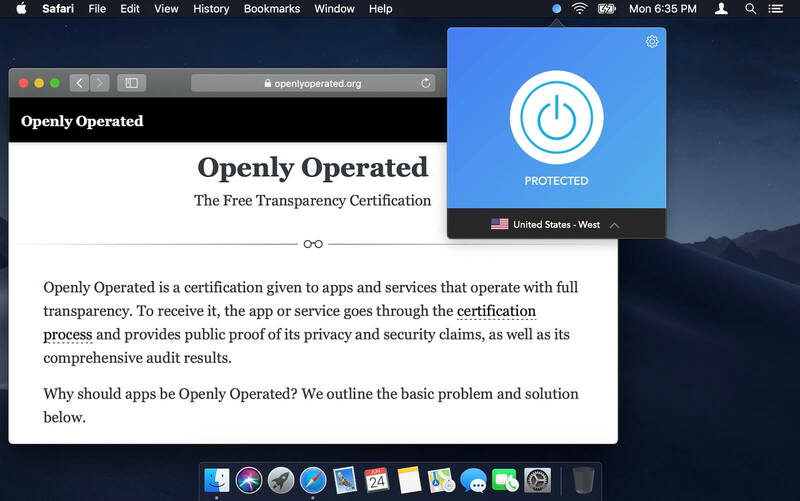 Bulletproof your browsing and data against hackers, snoopers, and your ISP. "Confirmed VPN wants to bring transparency to the VPN industry"
"Confirmed VPN update makes it the first open service with third-party audits, open source code, more"
Confirmed is the only VPN that can prove we don't log or sell data to third parties. Stop apps and sites you visit from selling your location data or your IP address. Advanced encryption keeps your data private on hotspots and insecure websites. How is Confirmed better than other VPNs? Secure your devices for a small fraction of your internet and cellular bills. Plus, refer friends and you'll get 10% off for each referral. Start a free 1 week trial. Try the trusted and the only Openly Operated™ way to browse securely and privately. © 2019 Confirmed, Inc. All rights reserved.